How Much Clearance is There? The other day I noticed a sign at porte-cochere at the Courtyard Marriot hotel. 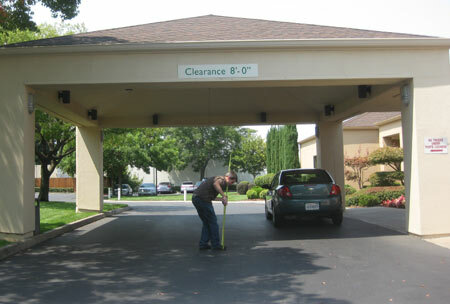 It was marked "Clearance 8' - 0"". It looked a hell of a lot taller, so it got me thinking. My first thought was "how often are these things wrong? ", which led immediately to the next question, "who is checking these?". The answer was "I am." The Courtyard Marriott was my first test. What do you think the actual clearance is on this structure? The Actual Height: 8' 0" 8' 6" 9' 4" 10' 2" 11' 0"